Congratulations to our winners of the 100% attendance reward for last term. Amazingly, two sisters' names were drawn! They each received a £30 voucher for the Odeon Cinema, Switch Island. 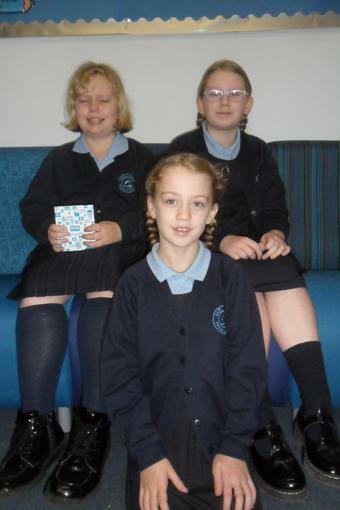 It was only fair to buy another cinema voucher so we have three winners: Rhianna, Abi and Sarah. Well done, girls! keep this up! Remember, everyone can now make a new start and aim to have 100% attendance this term. Another draw will take place at the start of next term.